Myopia (nearsightedness) is the most common refractive error and occurs when light entering the eye is focused in front of the retina rather than directly on it so that distant objects appear blurred. This is caused by the eyeball being too long, or the cornea & lens being too curved (or a combination of both). Both environmental and genetic factors have been associated with the onset and progression of myopia. Myopia often begins to develop in childhood and continues to increase until the late teens or early twenties. Besides the inconvenience of being reliant on vision correction, myopia carries a higher risk of eye disease including cataracts, retinal detachment, glaucoma and myopic retinal degeneration. Research has been striving to understand what drives myopia development and determine what we can do to slow its progression. Since myopia progression is usually due to the elongation of the eyeball, it is important to study how we can slow the rate of eye growth. The “peripheral hyperopic defocus” theory advocates that when light rays are focussed in behind the peripheral retina, it stimulates further elongation of the eye. This is the type of image that a nearsighted person can receive when uncorrected, or when corrected with traditional glasses or contact lenses. There is growing evidence to show that if we shift the focusing of the peripheral light rays inwards, it appears to help slow the eye growth and reduce myopia progression. Uncorrected Myopia - the image of a distant object comes to a focus in front of the central retina but can be behind in the peripheral retina. What else do we know about eye growth and myopia progression? Studies have shown that the amount of time spent outdoors is important: myopia is more common in children who spend less time outdoors, and findings seemed to indicate that increasing daily bright light exposure to 2 hours per day is likely to help prevent the onset of myopia, and possibly slow the condition. While the amount of time spent reading or other close work has not been proven to be directly related to the development of myopia, it is generally accepted that it is good practice to take visual breaks (20/20/20 rule), ensure that the working distance for near activities is not too close, and to try and limit near tasks to 2 hours daily. Other mechanisms implicated in the progression of myopia include accommodative lag (the image forms behind the retina due to inability to provide enough focus at near) and near esophoria (inward resting position of the eyes at near which leads to too much focusing for a given target and an image that lies in front of the retina). Although myopia control is still considered “off-label” treatment, there has been sound clinical research to demonstrate that various treatments are helpful with good safety profiles, and the use of these treatment methods is becoming widespread throughout the optometry and ophthalmology community. It is also important to note that the current treatment options are not likely to completely stop myopia progression, but rather slow the progression down so that the final refractive outcome as an adult will be less than what it may have been without treatment. As an example: a myopia control method providing a 50% reduction of progression should be able to reduce a child’s prescription from worsening 8 more dioptres to only 4 more dioptres. The earlier the intervention occurs, the better. The research on the management of myopia is continuously developing, and at Cowichan Eyecare we are committed to remaining at the forefront of this research to help optimize your child’s vision. The following is a summary of the current methods being used to try controlling myopia and reducing its progression. Once we have completed a myopia control assessment we can recommend the best options for your child. What is the treatment? Treatment involves putting 1 drop of 0.01% Atropine, obtained from a compounding pharmacy, in each eye over a period of at least two years. If there is less than 0.25D of progression in year two, the treatment can be discontinued at that time. If progression ensues at that time, treatment is reinstated. How much does it cost? Cost of the drops is approximately $80-110 per 10 mL bottle (bimonthly supply), so the cost of two years of treatment would be approximately $960-$1320. How does it work? Atropine works on the muscarinic receptors in the retina to slow growth. What are the adverse effects? While the drops are being used, there can be a slight increase in pupil size (which can cause increased light sensitivity) and a slight reduction in accommodative ability (focusing ability). For those who have increased light sensitivity, we would prescribe a tinted and/or photochromic lens. For those with reduced accommodation, we would prescribe a progressive or bifocal lens. What is the treatment? Ortho-K is the fitting of specially designed gas permeable contact lenses that you wear overnight. While you are asleep, the lenses gently reshape the front surface of your eye (cornea) which changes how light focuses onto the retina. This allows clear vision without glasses or contact lenses during the day after you remove the lenses when you wake up. The effect is not permanent - if lens wear is stopped the myopia will return. Traditionally, Ortho-K has been used as a non-permanent vision correction option that is an alternative to laser vision correction. However, Ortho K is now also being used for myopia control. What is the science? Clinical research has demonstrated myopia control rates ranging from 30-90%; with the average being approximately 45-50%. How much does it cost? The initial fitting process which includes the first two pairs of lenses cost approximately $2000. Replacement lenses cost approximately $220 each (if existing lenses are lost or damaged, or a prescription change requires an updated lens). Subsequent refitting process is approximately $650. How does it work? Contact lenses are custom designed to reshape the cornea in a multifocal manner. Whenever possible the central zone is targeted for the full near-sighted correction (which allows spectacle freedom during the day); the peripheral zone is targeted to correct less of the myopia - this creates the “hyperopic defocus” that reduces the stimulus for eye growth as explained in the introduction. As with adults, Ortho K for children does not permanently reverse the existing amount of nearsightedness they have. 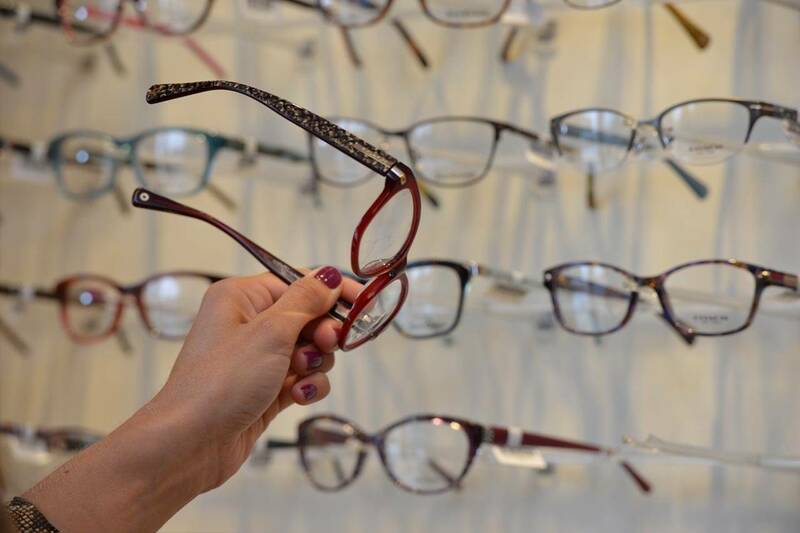 But they can benefit from reduced spectacle dependency in the daytime and hopefully reduce the future amount of myopia that their eye will develop to as they grow. If the patient’s nearsightedness or astigmatism is outside the treatable range for full correction, they can still benefit from the progression control benefits. These patients will need to wear glasses or contact lenses during the day to give them sharp clear vision. What are the adverse effects? There is a low risk of inflammation or infection from wearing the lenses overnight. Improper care of the lenses or hygiene increases this risk. What is the treatment? Wearing multifocal soft contact lenses that have a centre distance section and a peripheral near section. How much does it cost? Fitting costs ranging from $75-125. Disposable lens costs ranging from $400-$900/year. How does it work? The light rays from the peripheral optic zone of the lens focus in front of the retina, reducing the stimulus for growth, unlike typical myopia compensating lenses which focus peripheral rays behind the retina. What are the adverse effects? There is a very low risk of inflammation or infection with daily use contact lenses, which is increased from not cleaning lenses properly or replacing on time. How much does it cost? Lenses are approximately $300 and are replaced at no charge if there is a change in the myopia within a six month period. How does it work? The lenses were developed based on the research that demonstrates the link between peripheral retinal image blur and myopia progression. The lenses provide sharp central vision and a peripheral zone of hyperopic defocus. What are the adverse effects? Some patients notice peripheral blur compared to their standard single vision lenses. Like all lenses, they may require a short adaptation period. What is the treatment? Spectacle lenses that compensate for myopia on the top portion with a reduced power on the lower portion to decrease over converging of the eyes. What is the science? While bifocal correction seems to have a minimal effect on slowing myopia progression in the general population, research has indicated that their effectiveness is increased in children who are esophoric (eyes that turn inwards) and have a large lag of accommodation (the eye doesn’t focus as accurately as it should). How much does it cost? There is a wide range of pricing for lined bifocal lenses and progressive lenses depending on the material, coatings, and level of technology. Average pricing would range approximately $250–400. How does it work? Overconvergence is a sign that the visual system’s “centering” is incorrect and driving towards myopia. By having a lower portion of the lens that is less minus, the eyes go to a normal posture, correcting centering and lowering the drive to myopia. Accommodative lag causes an image to be focussed behind the retina which can drive elongation of the eye - the “add” power in the bottom of the lens allows a more accurate focus onto the retina. What are the adverse effects? Some patients notice peripheral blur inferiorly compared to their standard single vision lenses.